In this section you will learn how to root your Android smartphone, tablets and much more! First however, we will cover briefly what rooting is and why you should root your Android device. Note #1: If your Android smartphone or tablet is already rooted and you’re looking for how to spice it up and make it stand out from the crowd, visit iJailbreak’s Android ROMs section. Note #2: We will be updating this page with the latest how to root guides, tutorials and how to’s once available, so make sure you come back soon! Are you unsure about Rooting? Scared it might cause irreversible damage to your device? Well, all your questions will be answered in this detailed analysis. 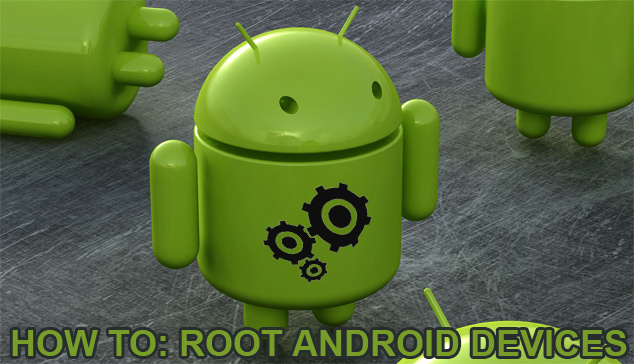 Rooting is one of the best things about the Android operating system (OS). Let us show you how easy it is, in a way that won’t make you feel technically challenged. Let’s get the concept straight first. Rooting is like getting supreme rights to your device so that some real changes can be made to your Android device. In a way, it can be compared with Jailbreaking the iPhone, iPod Touch, iPad or Apple TV. However, through Rooting you’re given the freedom to make drastic changes to your device. You can use third party applications, alter system files, install apps directly to the SD card, use different Android versions, improve performance, enable Wi-Fi and Bluetooth tethering and so much more. You can also choose different calendars, clocks, maps, themes, boot images, lock screens, and completely change the interface of your device. Imagine running a theme that mimics Windows 8, or iOS. The device can be customized in whatever way you can think of when rooted. Some Android devices have problems with installing applications; this is because their internal memory is way too low. Rooting can solve this issue by downloading and installing apps using your SD card’s memory only. Some devices even restrict Wi-Fi and Bluetooth tethering. This option can be enabled easily once a device has gone through the Rooting procedure. Some custom ROMs give the option to flash different Android versions on devices as well. The HTC Status is limited to Android 2.3.3, for example, but with a custom ROM it can even run Android 3.0 (although that version is meant for tablets only). Some custom ROMs make the device a lot smoother and faster as well, this is because those custom ROMs do not install useless apps, and install only the very basic apps so you’re free to choose the desired apps. Most ROMs also offer overclocking options to increase the speed of your device. Rooting brings about a list of endless possibilities. It just needs to be performed with caution. The rooting procedure varies from device to device. Not all devices use the same Rooting software, and in addition, every device has their own custom ROMs. You cannot install a custom ROM developed for the Galaxy S III on a Galaxy Nexus. You can look up on different Forums to read a whole tutorial that will guide you through the process of flashing a ROM. Good Forums include the XDA Developers Forum (popular for coming out with custom ROMs), and the Android Forums. Of course, all the benefits are not without risk. Firstly, you will be voiding your warranty and secondly, you might end up “bricking your device” (or rendering it useless in simple terms). You will only cause irreversible damage however, if you mess up big time during the whole Rooting procedure. If the instructions are followed step by step, then there should be no problem. Rooting can be fun, and you can even get you addicted to it. The drive to find the perfect custom ROM can be really intriguing. Rooting may sound like a complicated process for normal Android users. Developers have made the Rooting process a lot easier throughout the years however. All users have to do is correctly follow a set of instructions and the device can be rooted with ease; often times without the need of any terminal commands. Rooting can be considered similar to installing Windows on a personal computer. Mobile manufacturing companies such as Samsung, HTC, Sony, Motorola, etc make their own versions of the Android operating system. While the outside user interface (UI) may be different, the base is always the same. Rooting does involve a risk. It voids the warranty of your device, and if the instructions are not properly followed, it can cause the phone irreparable damage. However, if everything is done according to the provided instructions, then you’re unlikely to face any issues. 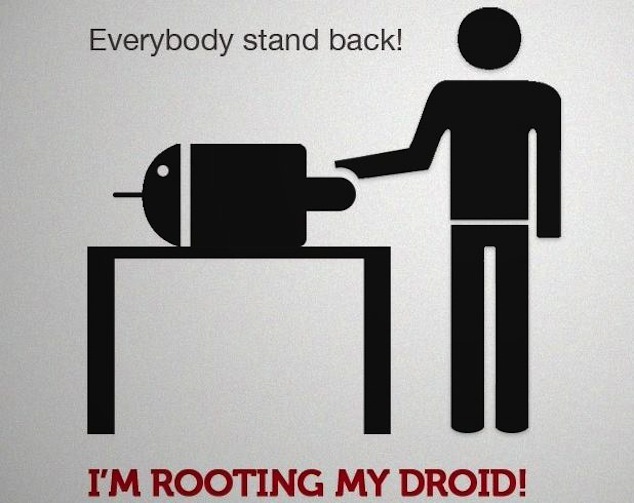 Android devices can also be un-rooted. We shall guide you through all the scenarios involved in rooting and all you would want to know about it. Make sure you have the appropriate data cable, and have made a backup of your device. Search for a Rooting Software on the Internet, examples include; Z4Root, Universal Androot, and SuperOneClick. Install them on your computer. Some of these Rooting softwares may need the Android Software Developer Kit (SDK) (http://developer.android.com/sdk/index.html). It’s advisable to download this as well. Before you jump in and try to root your device, make sure you make a complete backup. Most devices can be backed up with the software suites of the manufacturer of the phone. Examples include HTC Sync and Samsung KIES. You will then need to enable USB Debugging mode on your Andriod device. To do this simply go to Settings > Applications > Development, and check the USB debugging option. Now make sure your phone is connected to the computer, you are running the SDK application, and the rooting software. Just follow these steps along with the device-specific steps from one of the guides listed further on and you will have rooted your device. ROMs, as previously mentioned, are just modified versions of the Android OS. Users will need to download a ROM manager; ClockworkMod is a very popular and probably one of the best ROM managers in the market. Download this manager if you want to install custom ROMs to your Device as this manager will make a backup of your current Android System as well. ClockworkMod is a custom recovery that aids in restoring your device to its earlier state. This will make sure if anything happens during the process, you will have a stock restore option to revert back to. Another recovery that can act as a ROM manager is TWRP Recovery. Have you ever heard of overclocking? PCs are easily overclocked and with a custom ROM you can overclock your mobile device as well. However, you may not need to go that far. A memory optimizer is all that will be required to have control over the performance of your device. Optimus Root Memory Optimizer is a good example that helps improve performance and clear up memory. SetCPU on the other hand, is actually used to improve the processing speeds of your device. There are countless custom ROMs that can be installed on your Android device and most of them require familiarity with the process of Rooting. You should always proceed with any Android Rooting guide in a cautious manner. Do not perform any actions in a hurry, and remember to read the pre-requisites carefully before proceeding. With some caution, you can easily use different custom ROMs and get the most out of the Android OS. i used z4root on my android and then i click un-root, the next thing is temporary / permanent root. i chose permanent root. the next day i found that my android tablet has zero internal memory. did i mess my android tab? i think software for s6 is Kongo root apk is best.